The Throne Spacer is designed to add height without changing the appearance of a standard toilet. 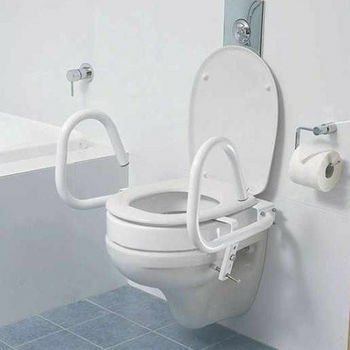 Spacers can be used with or without Throne rails, and also work well with most bidets. Spacers are available in either 50mm or 80mm heights, and are installed easily becoming an extension of the toilet pan. Supplied with longer bolts to secure the seat and spacer to the toilet pan.